Cedar Crest College offers several degrees and certificate programs completely online. SAGE offers a large selection of online courses taught by Cedar Crest College faculty. All SAGE business courses are available online. Online courses are available in regular or accelerated format. You do not have to be enrolled in a degree program to take a class at Cedar Crest College. As a visiting student you can take a course to stay on track, get ahead, learn more about the college, or a program. Search our course database to view the latest online course offerings. Select the term. Choose winter, spring, spring accelerated I or II, summer, fall, fall accelerated I or II. Select the method. Choose “Online Course” from list of options. Start Now. Search course database. SAGE also offers over 500 online courses through our partnership with the Online Consortium of Independent Colleges and Universities (OCICU). These courses are in a variety of convenient accelerated formats. Registering for OCICU online courses is as easy as 1-2-3. Choose from dozens of 8-week online courses across virtually every discipline and general education category. SAGE-approved courses are marked in red. Courses listed in red have been pre-approved by Cedar Crest College, meaning that these courses can be applied toward your requirements for a Cedar Crest College degree. 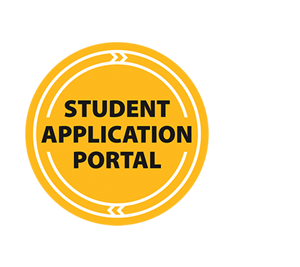 If the course has not yet been approved, simply fill out the approval form. » Register for class online. » Register for a class as a visiting student. 3. Prepare for your online course. After you have selected your course, take some time to review this guide to online courses. Note: Check out the academic calendar for the course you are taking. Please pay particular attention to the start date, drop deadline, and end date for your course.